Galleria Franco Noero | I went away and forgot you.. I went away and forgot you..
Galleria Franco Noero – in residence is pleased to host I Went Away and Forgot You. A While Ago I Remembered.I Remembered I’d Forgotten You. 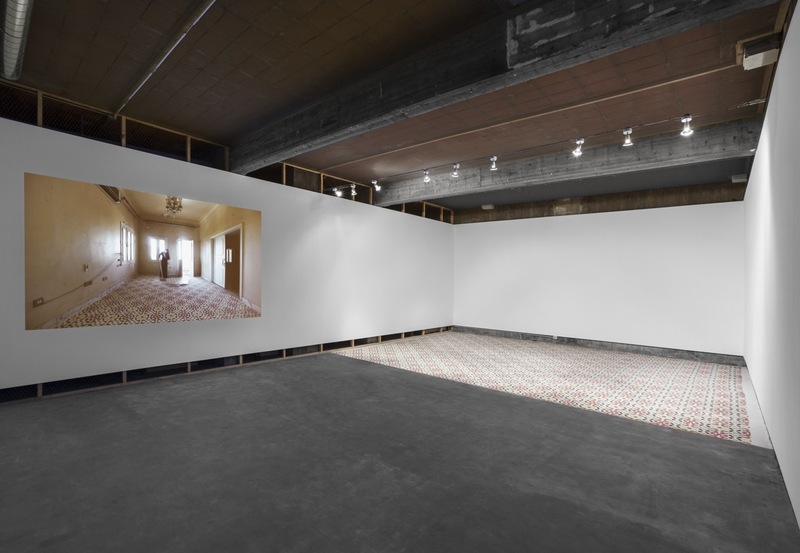 I Was Dreaming., Dana Awartani’s mixed media installation, and her first video work to date. 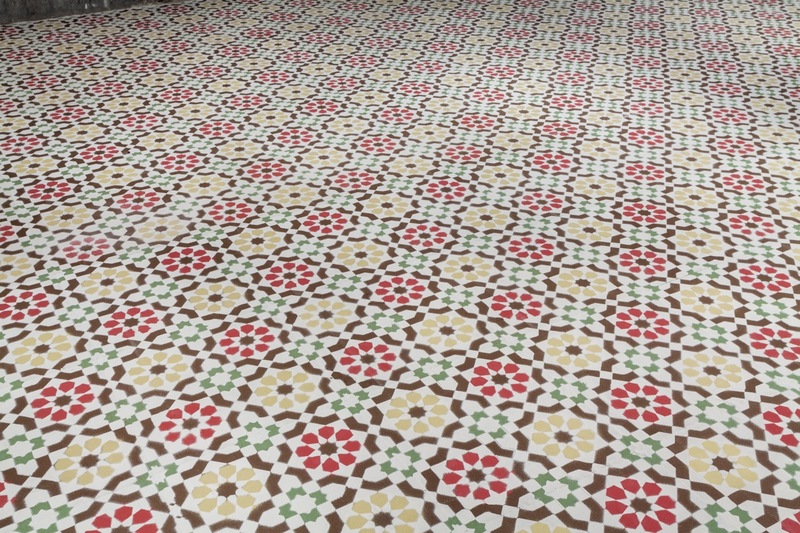 This dual installation is a call to celebrate the beauty of traditional Islamic design and architecture. 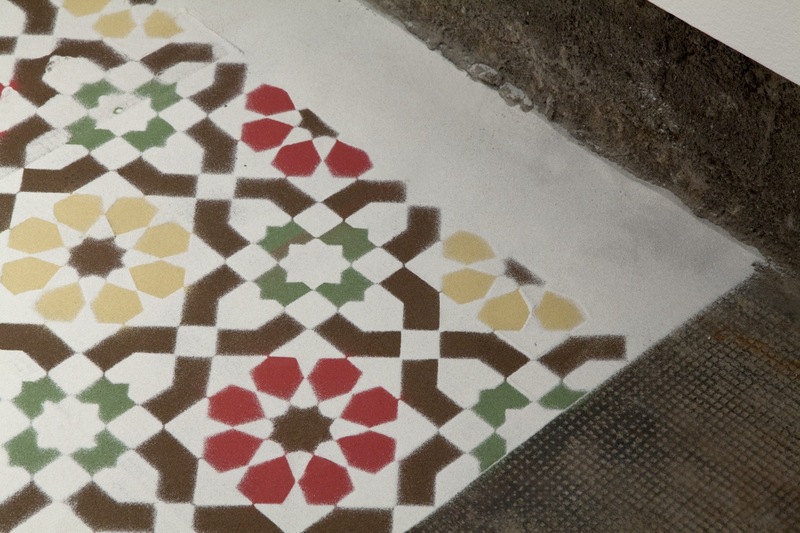 Awartani has meticulously assembled on-site over a number of days a large and immaculate geometric floor design made with locally sourced sand which the artist has previously dyed herself using natural pigments that derive from stones and plants, staying true to her appreciation for traditional techniques of making art. 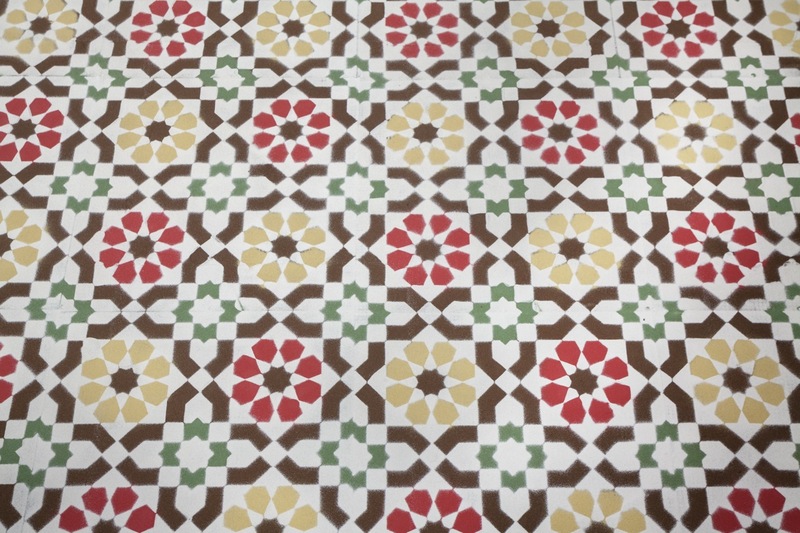 The pattern she created is also shaped on the traditional Islamic tile work, once common in most Arab and Islamic homes. 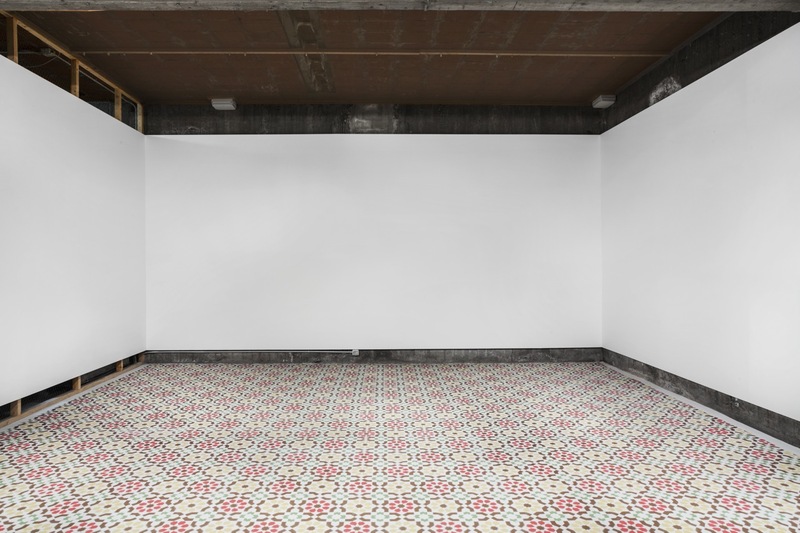 The video work was created by Awartani once she had completed a similar installation on the floor of an old abandoned house, located in the old part of Jeddah, where the artist's grandparents generation used to live. It shows her destroying the art work by sweeping up the sand tiles as a symbolic commentary on the modern day destruction of our cultural identity and heritage, which has been a result of a carless and an obsessive need for a more modernized and industrial society without the conscious awareness of what we are leaving behind. With this final gesture, the artist aims to highlight the importance of preserving and cherishing what in essence is a crucial part of the collective identity in the region, not as an attack on modernization, but rather pointing out the importance of the old and new co-existing and living together side by side. 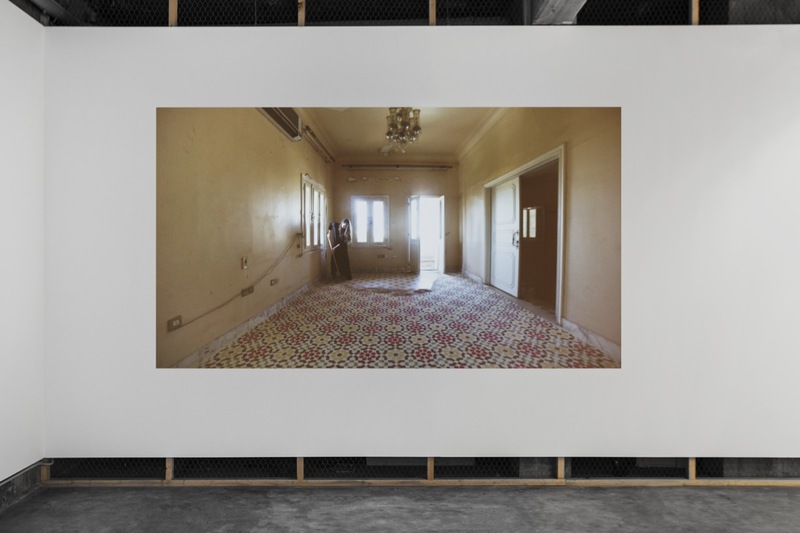 The house that she has chosen to create the piece plays a crucial role in the artwork, as the building was a typical home amongst the wealthy elite during the late 50’s and early 60’s, and it was during this time that buildings in Jeddah broke from traditional Hejazi architecture and adopted a more European aesthetic to project a sense of a more “civilized” and “forward” society, and in turn completely abandoning their own cultural identity. 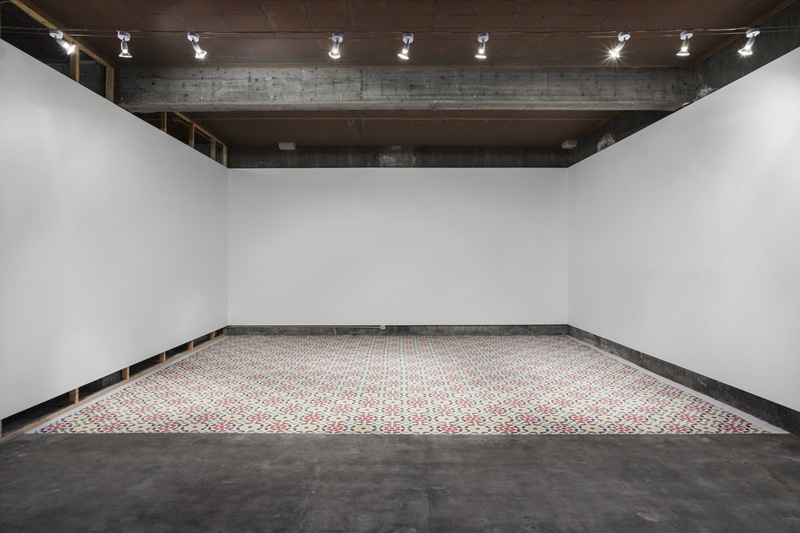 Awartani’s symbolism extends from what lies on the floor and what is projected on the wall that come together as a cautionary tale, contemplating the duality of creation and destruction, past and present. The artist seeks to raise awareness about the importance of celebrating and preserving the timeless language of geometric aesthetics as a universal language of beauty and harmony. Dana Awartani (b. 1987) is a Palestinian-Saudi artist born and raised in Jeddah, Saudi Arabia where she lives and works today. Her training draws upon contemporary and traditional modes of practice and thought. She first acquired her foundation degree in Art and Design at Central St. Martins Byam Shaw and then a B.A in Fine Art at Central Saint Martins College of Art and Design. During this rigorous contemporary training, she was drawn to explorations of traditional art forms, deconstructing their capacity to invest interpretation and meaning. 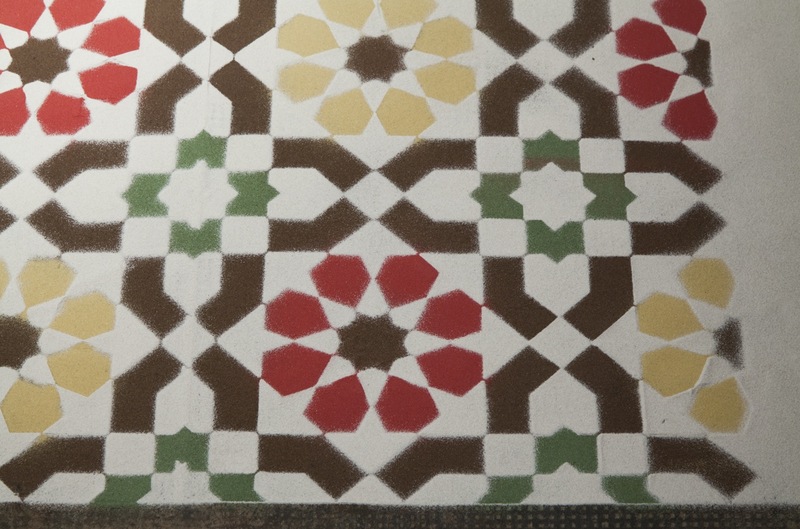 This inspired her to purse a two-year Masters at The Princes’ School of Traditional Arts, where she refined her skills in Islamic art forms and received a distinction for her work. She has exhibited her work in many international exhibitions including Rhizoma, Venice Biennale, Italy (2013), the Marrakech Biennale, Morocco (2016), Kochi-Muziris Biennale, Kochi, India (2016) and Yinchuan Biennale, China (2016). 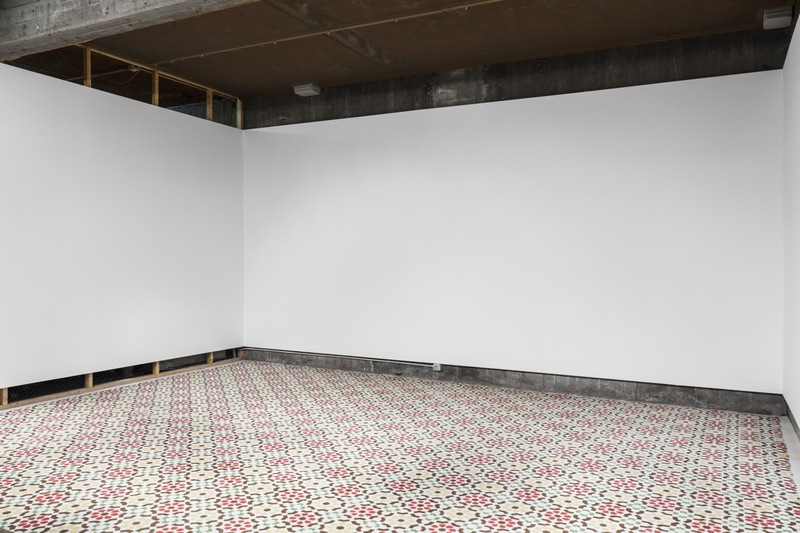 Her work was also shown at Take me (I’m Yours) at the Jewish Museum, New York, USA (2016), Exibition 1 at the Institue of Arab and Islamic Art, New York, USA (2017) and Awartani will have an upcoming solo show at Museum of Contemporary Art in Detroit, USA (2017). Her pieces are included in the Farjam Collection, one of the largest collections of Islamic art in the world, as well as the Sheikh Zayed National Museum in Abu Dhabi and The British Museum.